ASCEND 2019 is an ambitious initiative of the Kerala government to position the state as an investment hotspot. Union Minister of Commerce & Industries and Civil Aviation Suresh Prabhu was the chief guest at the opening ceremony of the day-long conclave, ASCEND 2019. ASCEND 2019 aims to make Kerala a top investment destination and empower entrepreneurs to launch their enterprises in a speedy and hassle-free manner. 'Invest Kerala Guide' - a compendium of administrative and policy reforms was released by the Chief Minister Pinarayi Vijayan. Invest Kerala Guide provides a ready reckoner on the immense business opportunities in the state and simplified procedures and protocol in making the investment. KSWIFT is an online clearance mechanism designed by the Kerala government to simplify and speed up the issuance of clearances from Departments/ Agency for launching enterprises in the state. Q. 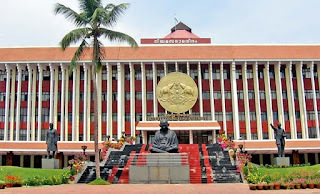 Which is an ambitious initiative of the Kerala government to position the state as an investment hotspot?